Happy Thanksgiving ladies!! I hope you're having a wonderful time with your loved ones today and enjoying lots of good food! My in laws are arriving today and I've already started preparing the feast for the day. I did as much cooking as I could yesterday and today hopefully all I'll have to do is make the mashed potatoes and pop the rest of the items into the oven to finish baking. What plans do you have for today? Are you cooking or do you get to relax and enjoy the food? 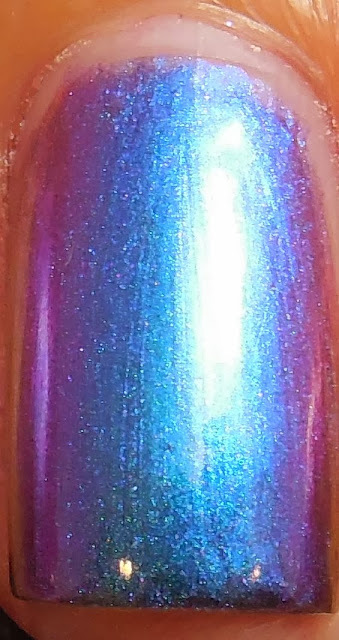 Ok, to wrap up my duochrome/multichrome saga of polishes, I have for you today the last of my I Love Nail Polish Ultra Chromes called Birefringence. A quick google shows the definition of birefringence as "the optical property of a material having a refractive index that depends on the polarization and propagation direction of light." I don't quite understand what all that means, but I can tell that it has something to do with refracting light, and with the refraction of light means change of vision or color. I think Birefringence is an apt name for this multichromatic polish - it's mostly a blue teal that then shifts to purple, fuchsia, and hints of gold and orange if you're lucky. 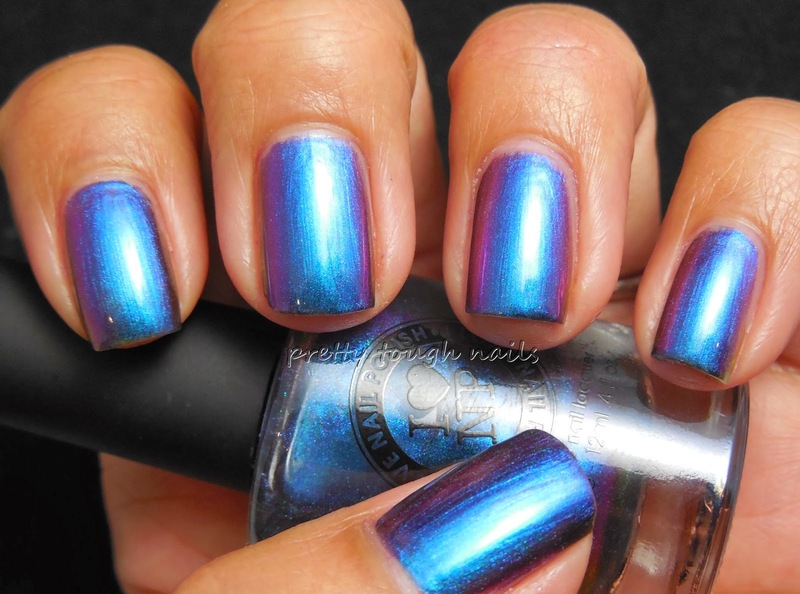 It's slightly similar to Cygnus Loop but more teal and not as dark and vampy looking. Consider it the lighter colored version of Cygnus Loop. 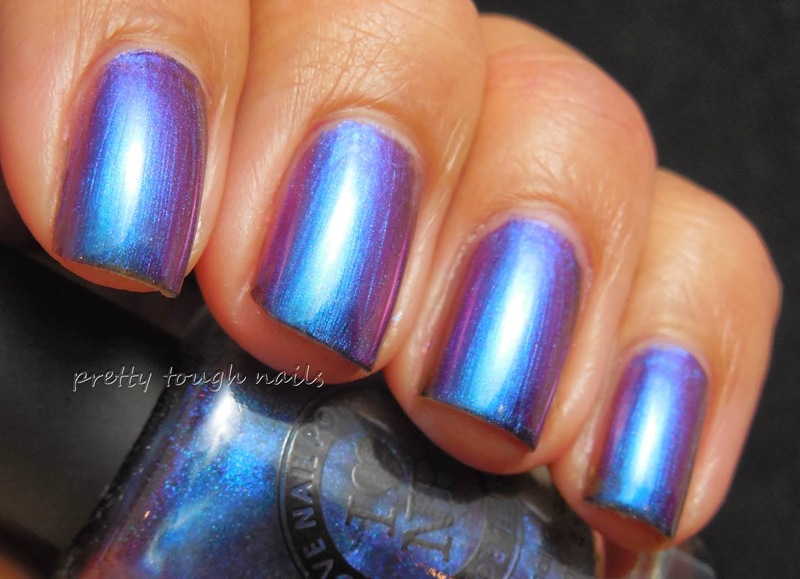 I used three coats here as it had a similar formula as the previous two that I've swatched. You can see some brush strokes here again, but they're fairly minimal. 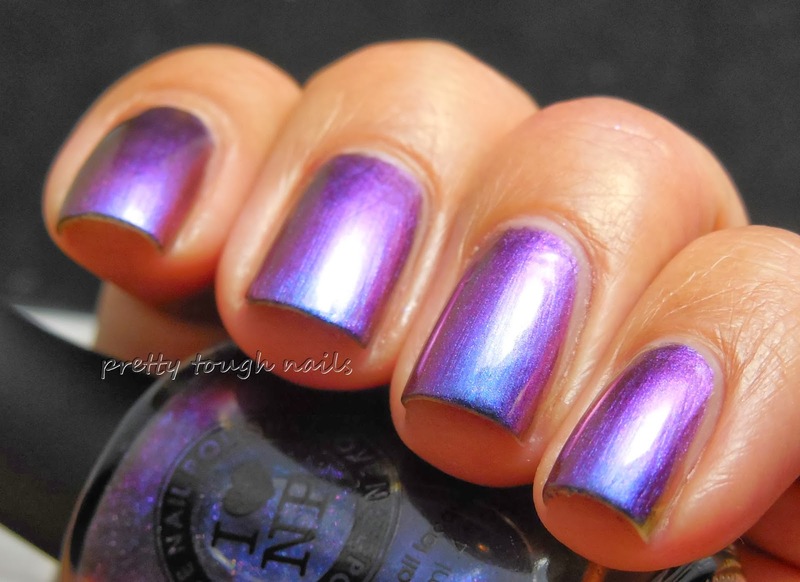 No topcoat in these pics. 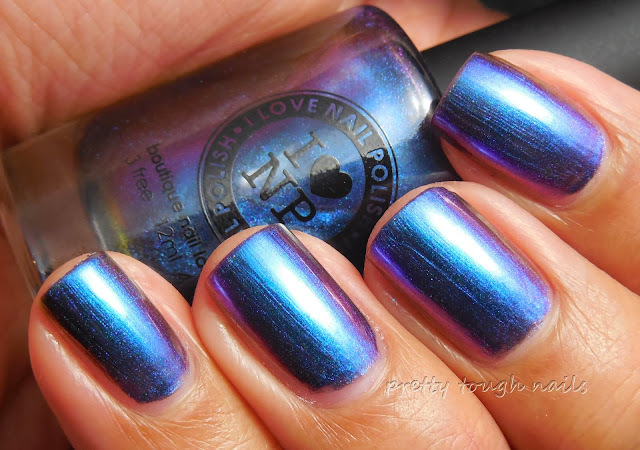 I'm thoroughly hooked with these multichromes and I'm excited to see what else ILNP has up her sleeve.... I saw a teaser photo of a Christmas themed multchrome getting released soon and I'm anxious to see more! Of course, with all these launches and polish Black Friday sales, my wallet is going to be crying. Do you have your trigger finger ready to go for the sales this week? What's on your list?